Overview - This set includes Caliber 9 (1972), The Italian Connection (1972), The Boss a.k.a Wipeout (1973), and Rulers of the City a.k.a Mr. Scarface (1976). After being released from jail, gangster Ugo Piazza (Gastone Moschin) becomes the target of his former mob allies, who all suspect him of stealing a large sum of cash before he was put away. Piazza claims to know nothing about the missing money, however, and attempts to leave his criminal past behind, hoping to settle down with his Go-go dancer girlfriend (Barbara Bouchet). Unfortunately for him, both the mafia and police refuse to buy his new good guy image, and continue to relentlessly tail him. After being forced back into the criminal organization, Piazza tries to clear his name, but tensions result in a bloodbath, leading to a shocking, violent climax. The plot is pretty basic gangster fare, with all of the characters amounting to little more than stock archetypes. Moschin plays Piazza like a classic, quiet, tough guy, but does bring some nice intensity to the role. Unfortunately, most of the running time isn't very engaging, and the meandering story takes a bit too long to really kick into gear. Frequent diversions focused on the Italian police force are particularly ineffective, with many scenes becoming drowned in overwritten political content. While I admire Di Leo's interest in deeper social themes, the way they're weaved into the story is overbearing and clunky. The movie's low budget doesn't help matters much either, but to their credit, the filmmakers make the most of what they have to work with. Thankfully, the director does bring an interesting sense of style to the proceedings. Occasional bursts of visual flash litter the picture, with fast cuts, quick transitions, and kinetic movements. The movie's colorful, dizzying introduction to Barbara Bouchet's character is a great example, showing off some fun, energetic camera work. Despite the plot's tendency to drag, the climax does pick things up considerably with a cool, over-the-top shootout. The final scene is also quite powerful, ending the film on a high note with a series of violent twists. It's not exactly high art, but Di Leo does manage to make the film work, demonstrating a penchant for gritty, stylized brutality. Picking up on similar themes and plot devices as the previous film, 'The Italian Connection' follows a small time pimp, Luca Canali (Mario Adorf), who becomes the target of two American hitmen (Henry Silva and Woody Strode). Framed for the theft of a big drug shipment by a desperate mob boss, Canali tries to clear his name before it's too late. But when his family is threatened, the seemingly harmless pimp decides to abandon peace talks in favor of meeting his would be killers head on. 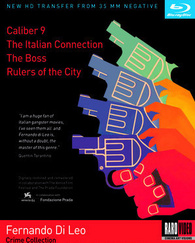 Very similar in structure and style to 'Caliber 9,' 'The Italian Connection' features a lot of the same strengths and weaknesses. The plot is once again full of basic crime movie staples, but does bring some new twists to the tried-and-true formula. The American hitmen form a sort of "buddy film" dynamic that is pretty entertaining and seems to have clearly influenced Tarantino in crafting similar relationships throughout his films. With that said, though the two characters are featured prominently in the movie's opening sequences, they sort of abruptly disappear soon after, only to reemerge at they very end, making their whole subplot feel oddly unfinished and abandoned. Most of the focus is eventually placed on Canali himself, and thankfully this turns out to be a good thing. Adorf is surprisingly compelling as the lead, playing an innocent pimp (well, as innocent as a pimp can be) that's thrust into a very dangerous situation. Once again, Di Leo ramps things up in the last act with a memorable chase scene that is actually very entertaining and emotionally powerful. Fueled by a thirst for vengeance, Canali pursues an assassin by vehicle and by foot in an exciting action sequence that's made all the more potent thanks to the character's raging hatred, which is perfectly manifested by Adorf's wild-eyed performance. The sequence, and the film's subsequent climax set in a junkyard, really end up making the movie. Though a lot of the scripting is uneven, Di Leo does bring a unique flavor to the genre and his stylistic sensibilities create an interesting mixture of stark realism and over-the-top action. 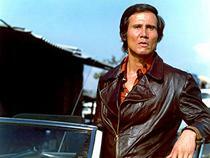 When a Mafioso's daughter, Rina (Antonia Santilli), is kidnapped by a rival syndicate as retaliation for a recent attack on their bosses, a stoic, emotionless killer, Nick Lanzetta (Henry Silva), is tasked with retrieving the missing woman. As war breaks out between the feuding crime families, Lanzetta ends up stuck in the middle of the conflict. After successfully rescuing the captured girl, the pair decide to hide out from all the chaos together, and soon Lanzetta starts to develop feelings for the woman. Following a series of double crosses and corrupt dealings, the icy gangster enacts a bold power play that might hold tragic consequences. Silva plays the detached Lanzetta with just the right amount of chilling menace, letting his blank expressions and menacing stare do most of the work. While the character's vacant personality doesn't make for the most charismatic lead, there is a certain badass quality to the actor's portrayal that ends up working well. Unfortunately, we again run into a lot of the same issues that permeate the rest of Di Leo's work, and the plot tends to get bogged down by aimless scenes focused on gangster strategy and tiresome political conversations. Thankfully, a few stylistic bursts here and there help to liven things up, including a particularly explosive opening and a well staged montage sequence involving a series of gang war assassinations. The uneasy "romance" that develops between Lanzetta and the rather free-spirited Rina is interesting, but there are some potentially misogynistic aspects to their coupling that might rub some viewers the wrong way. On that same note, while held prisoner, Rina's captors end up having their way with her several times, and she's actually depicted as liking the experience. In the included supplements, Di Leo defends this decision, and goes on to describe the character as a strong, independent woman who freely chooses to embrace and enjoy her sexuality as she pleases. While I can understand why some might be turned off by these plot points, in this case I tend to agree with the director, and think he elevates this aspect of the film beyond mere titillation. Much like the previous efforts, 'The Boss' ends up carrying just enough visual innovation, entertaining action, and social commentary to outweigh its pacing, scripting and budgetary concerns. 'Rulers of the City' follows Tony (Harry Baer), a low level loan collector who takes advantage of a risky opportunity to make it big. After cheating a feared mob boss, "Scarface" Manzari (Jack Palance), out of a great deal of money, he quickly becomes the Mafia's number one target. With the help of another young crook, Rick (Al Cliver), who hopes to enact revenge on "Scarface" for murdering his father, Tony successfully eludes capture. When they're joined by an aging mobster named Napoli (Vittorio Caprioli), a very unlikely trio is formed that just might have what it takes to end Manzari's reign of terror once and for all (and get sticking rich in the process). After kicking things off with a heavily stylized, slow-motion flashback, Di Leo mostly sticks to his trademark sensibilities, weaving a plot full of familiar twists and turns. All of the usual beats are here, including frequent double crosses and explosions of violence. Harry Baer makes for a more likeable, charming lead, however, and brings some nice, youthful vigor to the proceedings. This is probably the most action packed film of the set, and there are frequent fist fights peppered throughout that feature some fairly entertaining choreography. Di Leo's directing style also feels a bit more refined here, and the plot is less cluttered and more cohesive than his previous works. As is customary with the director's films, the climax is especially noteworthy. A fast paced, thrilling exercise in exciting stunt work, the movie's conclusion is littered with mini shootouts and chases that all build together to form one extremely entertaining whole. Featuring a slightly lighter touch than its predecessors, there is a true sense of fun throughout these final moments that really won me over in the end. On par with the rest of the decent but uneven films in this collection, 'Rulers of the City' is an entertaining but not completely successful gangster flick. Like the rest of Di Leo's works, its lasting influence is clear, but taken on its own merits it still leaves a bit to be desired. Raro Video brings 'The Fernando Di Leo Crime Collection' to Blu-ray on four BD-25 discs (one for each film) housed in separate slim cases that all come packaged together in a cardboard slipcase. After some warnings and logos the discs transition to standard menus. A 20-page booklet featuring a interview with the director is also included. The movies are all provided with 1080p/AVC MPEG-4 transfers in the 1.85:1 aspect ratio. With that said, it should be noted that the image is also slightly pillarboxed, leaving thin black bars on the left, right, top, and bottom of the screen. All of the films feature very similar transfers with the same major strengths and technical hiccups, so I will be assessing the video quality collectively while pointing out individual quirks as necessary. The source prints are in pretty good shape with only some minor specks, scratches, and dirt visible (mostly in the title sequences). 'Rulers of the City' features some slight color pulsing as well. While grain is visible periodically, it is unfortunately inconsistent and rarely has a very natural appearance in motion, sometimes looking strangely static and noisy. On top of that, there is a slightly compressed quality to the picture with minor artifacts visible from time to time. A few odd hiccups that involve the image faintly stuttering (00:34:27 in 'Caliber 9' for instance) or quickly flashing thin horizontal bars of colorful static (most notably around the 00:36:55 mark in 'The Italian Connection') also creep up in a few isolated instances. In addition, 'The Italian Connection' seems like it might have been upconverted from an interlaced source, as there is some combing visible on characters' clothing, patterns in the background, and objects during motion. Detail ranges from good to mediocre, with some shots (particularly close-ups) revealing nice clarity, and others looking more like upscaled DVDs. These results seem to stem from a combination of the movies' original low budget roots and the transfer related issues I already addressed. Colors are nicely saturated, but carry a certain pastel quality that looks a little faded at times. Contrast is solid with strong whites and deep, consistent blacks, but the image has an overall flat appearance. While some of the movies' less than stellar qualities can be attributed to the original low budget photography, there are several issues here that are clearly transfer related anomalies. This all leads to a presentation that is serviceable, but mostly mediocre. The audio is presented with Italian and English DTS-HD MA 2.0 mono tracks with optional English subtitles. Like the video, all of the films feature similar audio presentations, and unfortunately these mixes are underwhelming with some notable age-related problems. All of the tracks suffer from thin, sometimes muffled dialogue and effects. Speech, score, and various ambient sounds all carry a flat, strained quality. Occasional static, crackle, pops, and background hiss are also audible. Dynamic range is small and even explosions and gunshots lack much of an impact. There is some minor bass response in some of the music cues and a few scenes set in clubs and bars, but it's nothing to get too excited about. Balance between the various audio elements is fine. These mixes get the job done but suffer from some notable issues. Though understandable, the tracks' modest roots and the inevitable toll of time can't help but make for a flat listening experience. Raro Video has included a solid series of supplements, mostly made up of a few featurettes. All of the extras are presented in standard definition with Italian DTS-HD MA 2.0 sound and English subtitles (sometimes hardcoded). Unfortunately, the subtitles often obscure the names of the individuals being interviewed, which can be annoying. I also ran into a strange glitch on 'Rulers of the City' when navigating through the text based supplements, which made it impossible to return to the main menu. Documentary Caliber 9 (SD, 30 min) - Fairly recent interviews with some of the cast and crew are presented, detailing the movie's production. Topics touched upon include the source material, the casting process, the movie's violent content, and music. The participants also share some fun stories from the set, rounding out a decent look at the film. Documentary on Fernando Di Leo: Genesis of the Genre (SD, 39 min) - Here the focus is on the director himself with participants tracing his early career and filmography. The evolution of Leo's noir style is discussed along with his controversial depiction of female characters. Lots of clips from his other films are showcased making this a great inclusion for big fans of the director. Documentary Scerbanenco Noir (SD, 26 min) - This is a profile on the writer of the film's source material, Giorgio Scerbanenco. The noir author's style and influence are discussed in great detail. Photo Gallery with Audio Commentary by Gastone Moschin (SD, 3 min) - A brief audio interview with the actor is played over a slideshow of stills. Director Biography and Filmography - A text based biography and filmography for Fernando Di Leo is included. Documentary The Roots of the Mafia (SD, 21 min) - Cast and crew discuss the style of mafia films while sharing stories about the making of the movie. Similar to the previous extras, this offers some worthwhile insights for fans. Photo Gallery (SD, 2 min) - Music from the film plays over a slideshow of stills and posters. Documentary Stories about the Mafia (SD, 24 min) - Cast and crew offer more insights on mafia films, including some of the real life inspirations behind the movie. Some of the actors reflect on their roles and quite a bit of time is dedicated to discussing a specific line of dialogue that caused some controversy. Information dealing with Leo's depiction of women is also expanded upon with some repeated bits from an earlier supplement. Documentary Violent City (SD, 16 min) - Cast and crew discuss the making of the film with an emphasis on Leo's calm directing style and laid back scheduling. Again, there are some decent insights offered. 'The Fernando Di Leo Crime Collection' offers an interesting assortment of Italian gangster flicks. While all of the films suffer from uneven pacing and plotting, there is still a lot to admire about the director's very influential style. Unfortunately, the video quality is underwhelming, with some transfer related problems. Though understandable given the age and budget of the material, the audio is flat and thin with periodic technical hiccups. Supplements offer some welcomed insights into the director and production. Given the nature of the films and the mediocre technical presentation, this is a release that will probably only appeal to those who are already fans of the director or the Italian gangster genre.